The Prairie Creek Trails were created through a partnership between the City of Muncie Parks Department, Cardinal Greenways, Delaware-Muncie Metropolitan Plan Commission, Ball State University Design-Build Class, Delaware County GIS Department, Red-tail Land Conservancy and local volunteers to build a multi-use trail system in the southeast corner of the Prairie Creek Reservoir Park in Delaware County, Indiana. The project has received a grant from the Indiana Department of Natural Resources RTP (recreational trails program). These funds in conjunction with additional funds from the Ball Brothers Foundation, the George & Frances Ball Foundation, and the Community Foundation of Muncie & Delaware County (Kitselman Fund) as well as in-kind services that covered the costs of building the trail facilities. 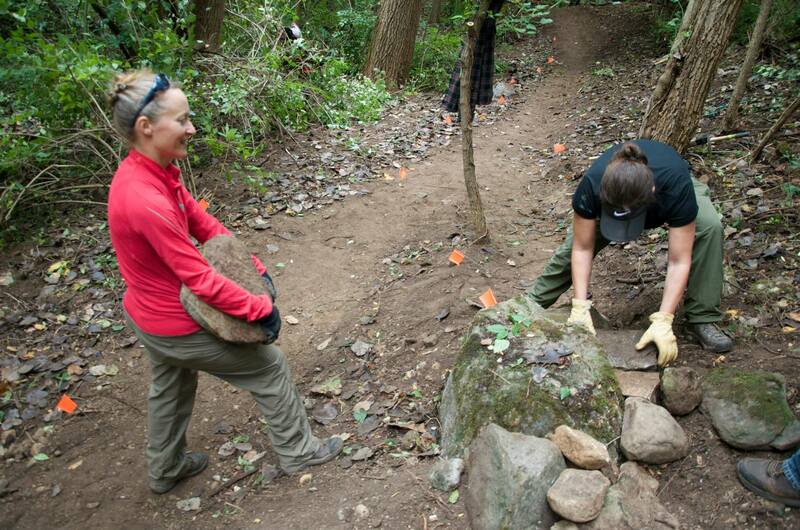 Visit our Trail Partner page for a full list of all the organizations that have helped make this trail a reality. The trail system includes a multi-use path connecting the nearby Cardinal Greenway through the Red-tail Land Conservancy Nature Preserve and around the southern end of the reservoir and mountain bike trails (which can be used for hiking as well). The 100-acre project area consists of open field areas with scattered trees and brush that transitions into dense woods closer to the lake. Several small ravines provide a surprising amount of elevation change not typically found in this area. 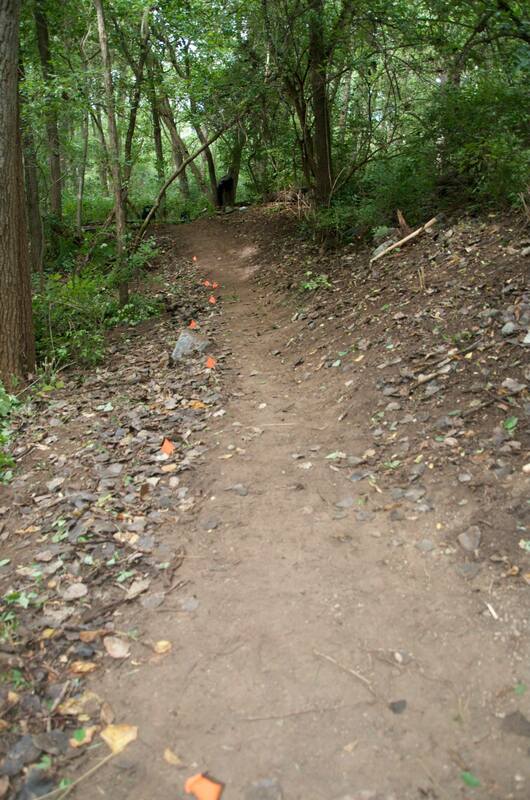 These trails provide access to an underutilized and previously inaccessible natural area. Easier access will allow for future projects such as invasive species removal and wetland enhancement. The varied landscape of the site provides ample opportunity for educational programs about the site’s history as well as the natural environment. This trail project follows the guidelines set forth in the Prairie Creek Master Plan, where public input was gathered and there was overwhelming requests for recreation trails around the reservoir area, has been approved by the City of Muncie Parks Board, Indiana-American Water Company, and is in coordination with the Prairie Creek Park Superintendent. The volunteer trail builders have attended and hold certificates from the IMBA trail building school/Trail Care Crew, and use what they have learned to build the most sustainable trails possible. In June of 2018, Mid-Indiana Trails received a grant from the Ball Brothers Foundation for $40,000 that is to be used for professional building of the next sections of trail. Tentatively scheduled for construction to begin in August 2018, the South West Connector trail will run north toward a junction of the Multi-use Trail and east toward the Maple Grove.